Traditionally wind power has enabled man to travel the seas, but in recent years, fossil fuels and nuclear power have taken over. However, Japanese company Eco Marine Power are harking back to days of yore, but this time with a renewable energy twist. The energy firm has developed rigid sails that are installed with solar models and the system, called The Aquarius, is able to collect both solar and wind energy to power ships. Eco Marine Power have been developing the technology for large ships such as oil tankers, but believe it could also benefit smaller vessels such as passenger ferries, tourist boats and coastal freighters. The company also hope that global governments could also benefit from the technology on naval vessels. 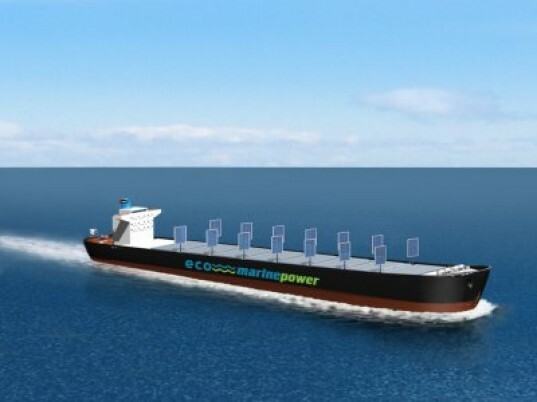 The Eco Marine Power Aquarius System will allow ships to not only utilise wind power and solar energy, but reduce fuel consumption and lower greenhouse gas emissions. It would enable shipping fleets the world over to reduce the CO2 footprint of their fleet. The latest design made by Eco Marine allows the array of rigid sail panels to be controlled via an on-board computer system. It allows the solar sail panels to be optimized in order for the collection of either solar and wind energy in variable weather conditions. 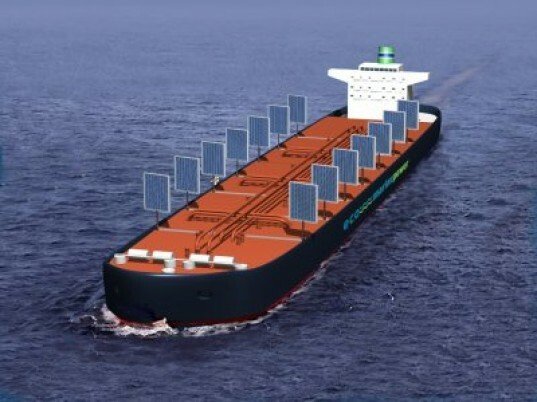 Imagine that, not only a future where oil tankers utilize wind energy, but also solar power as well. Oh, the irony.